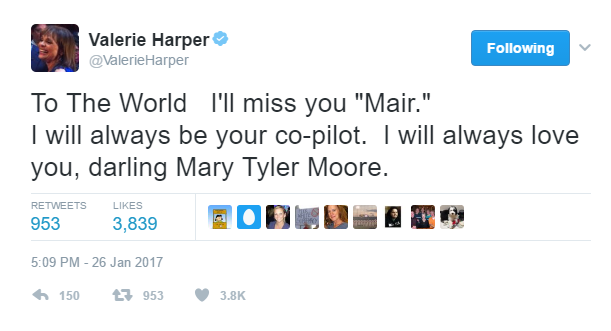 Mary Tyler Moore was laid to rest during a private ceremony in Connecticut on January 29, 2017. 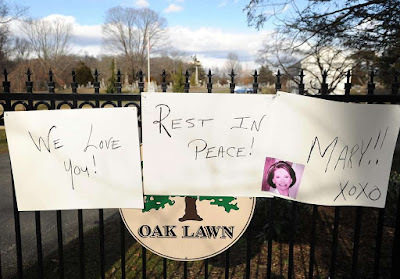 According to CBS, about 50 people attended the funeral and burial at Oak Lawn Cemetery in Fairfield. 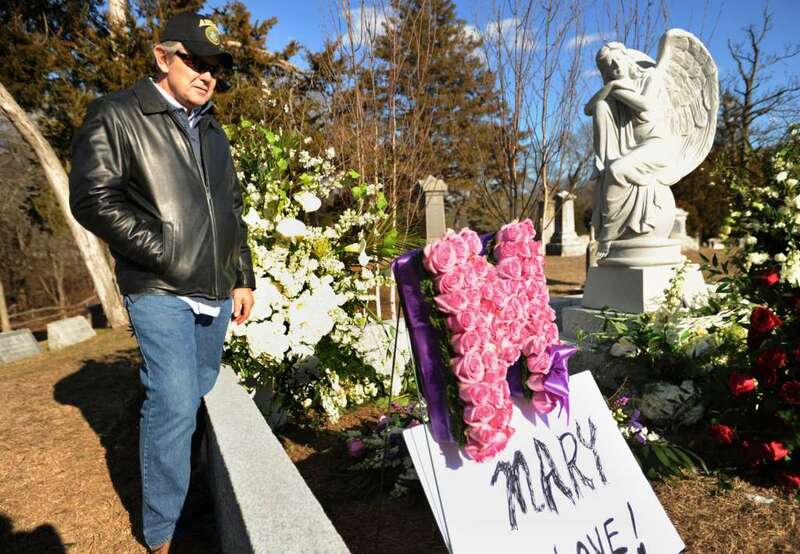 Police said actress Bernadette Peters was among those who attended. 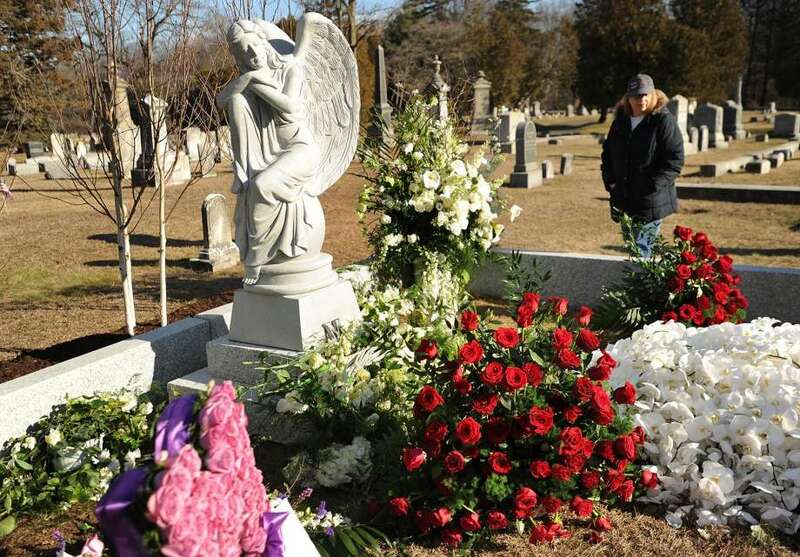 The grave site was adorned with a statue of an angel and scores of flowers including white orchids and roses. 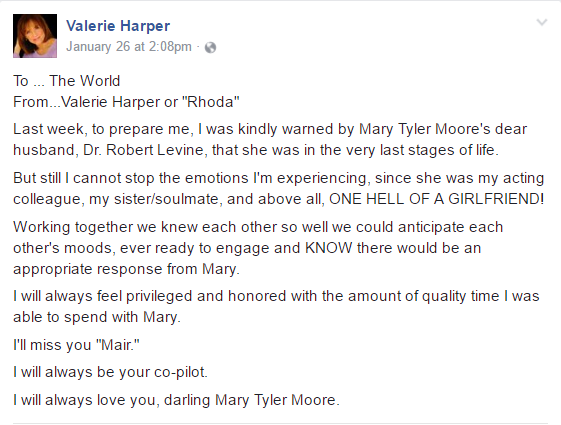 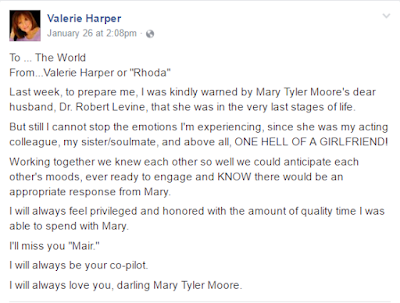 Finally saw Valerie Harper's messages about her late friend.